Moana, the teenage daughter of the chief, is filled with a Spirit that calls her to go beyond the reef. She has a vision that allows her to see that her people were once voyagers who sailed the length of the seas. Now that ocean is the Spirit that calls her, leads her and supports her when she needs a lift or a push. This community was not always locked in the Upper Room. And now this voyaging could bring new life to their island. The Sprit cannot be contained by even the best of structures and rules. The greatest privilege of my ministry as a deacon was co-teaching a course on forgiveness at a federal women’s prison. We started every class by invoking the Holy Spirit, the one who gives the gift of forgiveness. We explored the fears and locked doors in our lives, when guilt, shame or deep hurts make it so difficult to ask for forgiveness, to extend forgiveness or to forgive oneself. At the final class, each woman sat in a chair, named how she is a gift and listened to others affirm her. Of everything we did in the class, it was the most challenging exercise for these women: to recognize the Spirit descending upon them, saying, “You are my beloved daughter, in whom I am well pleased.” The Spirit offers this gift, too, to them and to each of us. The first time Pope Francis was asked about women’s ordination, he responded that John Paul II said no. 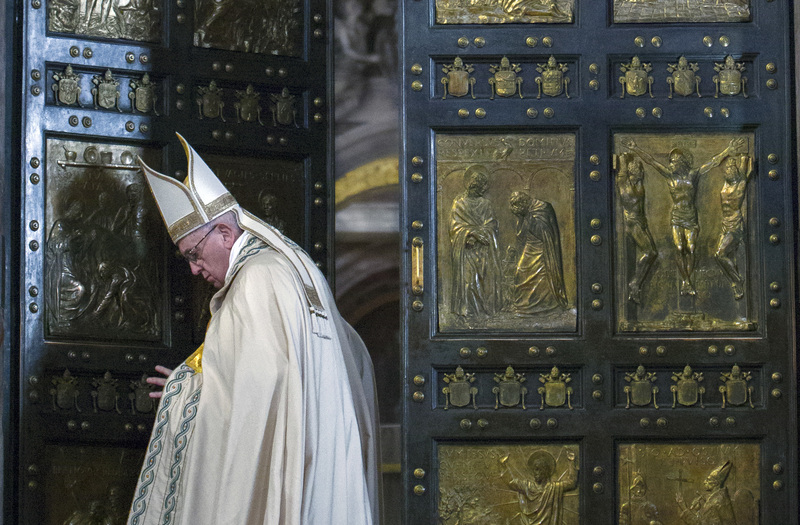 “That door is closed.” Presumed in the question and answer was the ordination of women as priests. Three years later, at the request of women religious from around the world, Pope Francis agreed to everyone’s great surprise to establish a commission to study the diaconate of women. Deacons, of course, are ordained to serve in the ministries of Word, liturgy and charity. Amen! May you walk in the freedom of Christ, Father Luke, as you minister to all God's people! My prayers will be with you, always. Luke Hansen, S.J., a former associate editor of America, assists with sacramental ministry at the Church of the Gesu in Milwaukee. In October, he will begin a licentiate in sacred theology at the Pontifical Gregorian University in Rome.